The first weekend of July is THE travel weekend in Iceland, so if you’re heading from Reykjavik on Friday, or to Reykjavik on Sunday, it is better to travel either early or late to avoid the traffic. There is a good reason this is the biggest travel weekend – there is so much to do all over the country! It doesn’t hurt that the weather usually stays nice this time of year. Usually. There are festivals all over the country, most with their own theme. There are the Irish Days at Akranes, just 50 km north of Reykjavik. This is a great festival as it has so much to offer for all ages. On Saturday evening, they proudly host one of the biggest dances of the year, Lopapeysan (meaning ‘the woolly jumper’). The name probably gives you some idea of how it is – not too formal and all about having fun! Vopnaskak is the town festival of Vopnafjörður in East Iceland. First and foremost, it is family friendly. It has all the things a good town festival needs: a market, music and a variety of entertainment. ATP – All Tomorrow’s Parties music festival at Ásbrú, just by Keflavík Airport. This festival is one of a kind in Iceland. It is held in a bunker that used to belong to US army and it is a small festival. Tickets are limited to the amount of people that fit comfortably into the bunker. But the line-up is always great with a good variety of music and big international names performing. At first glance, the End of Eruption Festival seems like any other town festival. But that’s not really the case. It is a festival celebrating the end of the eruption that nearly destroyed the town in 1973. It centres on a bitter-sweet memory of a disaster that lasted for months, and the joy when it was finally over. It is very close to people’s hearts. This means that the attitude of the locals to the festivals is different from what is usually the case with town festivals. The connection is so much stronger, and you can feel the resilience of the people – who won’t let a little thing like a very active volcano drive them from home. Ólafsvíkurvaka is the town festival at Ólafsvík, situated on the Snæfellsnes Peninsula. The festival is your typical town festival, the town comes alive with music and family-friendly entertainment. Most locals take part and those who have moved away return for a weekend of festivities. It doesn’t hurt that the scenery is beautiful, just under Snæfellsjökull Glacier, and that there are many things to see and do around the area. There is a Folk Music Festival in Siglufjörður, in the North of Iceland. It is the biggest festival of its kind in Iceland and is well known. The programme of the festival includes performances of both Icelandic and foreign folk songs, along with hiking and dancing. The setting of the festival is perfect. Siglufjörður is an old town, set in a deep valley, it is as cute and pretty as a town can get, and fits perfectly with the term ‘folk’. Market Weekend in Bolungarvík. Don’t let the name deceive you – this is a proper town festival, with music, culture, and entertainment for all age groups. It is in fact one of the bigger culture festivals in the West Fjords. The market is the centre of the festival, and it is big (on an Icelandic scale), with people all over the West Fjords participating in it! If you are not in mood for a big festival, there are other things to do, such as going to markets. There is a food and antique market with an Irish theme in Akranes, as there is every Saturday this summer. This weekend the theme is Irish, in the spirit of their town festival. 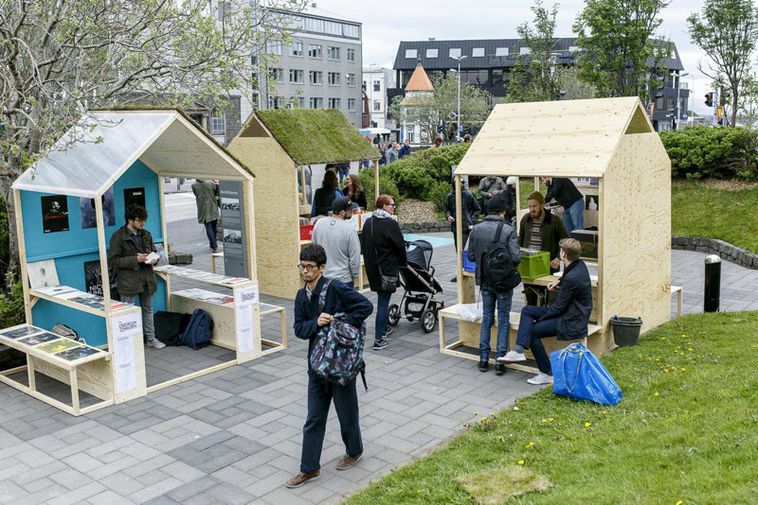 There is the Krás Street-Food Market and the Bernhöfts Bazaar with boards and bikes in Reykjavik. In the West Fjords, there is the market that is the centre of Bolungarvík Market Weekend, as well one at the Monster Museum in Bíldudalur. 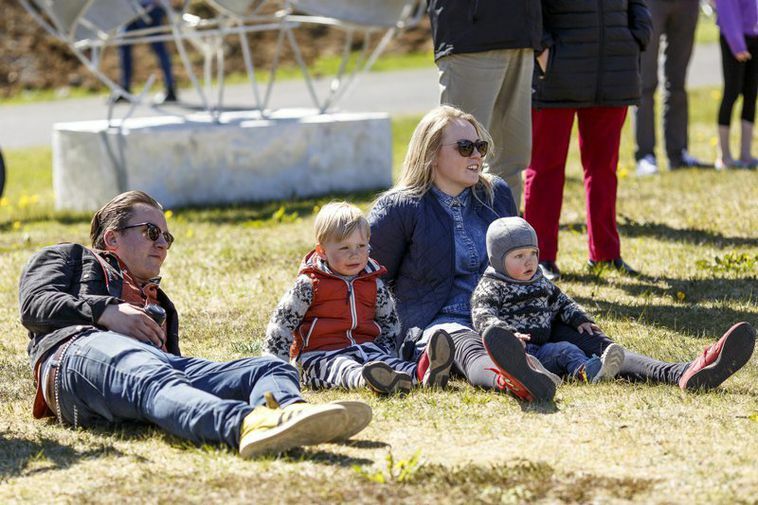 This is just the tip of the iceberg, there are many concerts all over the country, as well as other events, such as an eating competition, and an exhibition of old cars in Árbær Outdoor Museum. To get more information about all that is going on this weekend, see here. The only problem is: what to do and where to go?